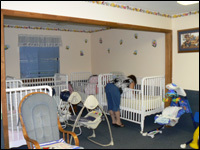 Noah’s Ark provides employment opportunities for family friendly staff with no-incident childcare records. We provide competitive compensation and benefits as well as advancement opportunities for those who show promise. Noah’s Ark Learning Center, LLC is an Equal Opportunity Employer. Please print, fill out, and bring in the application linked below if you would like to be considered for employment with us as positions become available.